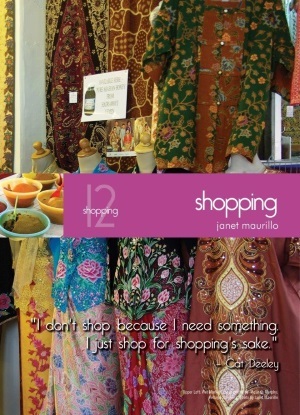 For some, shopping is a pleasant pastime to fill the day. For others, it’s more like a professional sport, with the goal of acquiring a unique find or great bargain. Then there are are also those who consider shopping a necessary evil: "How do I find what I need as quickly and easily as possible?" Whichever your point of view, if you’re living in Singapore, you’ll have reason to take advantage of the many shopping opportunities that exist here. While not an exhaustive review of all Singapore has to offer, this chapter will provide you with information to make your shopping experience whatever you want it to be and also offers some great insider spots for those things you just have no idea where to find such as special kitchen supplies, costumes, camping supplies and so much more. The new edition is divided up into “what” and “where to find it” with a breakdown on all the best neighborhood shopping districts. It also offers some fantastic online shopping apps and eve ways to get your finds home.